Live in the city with that country feel. 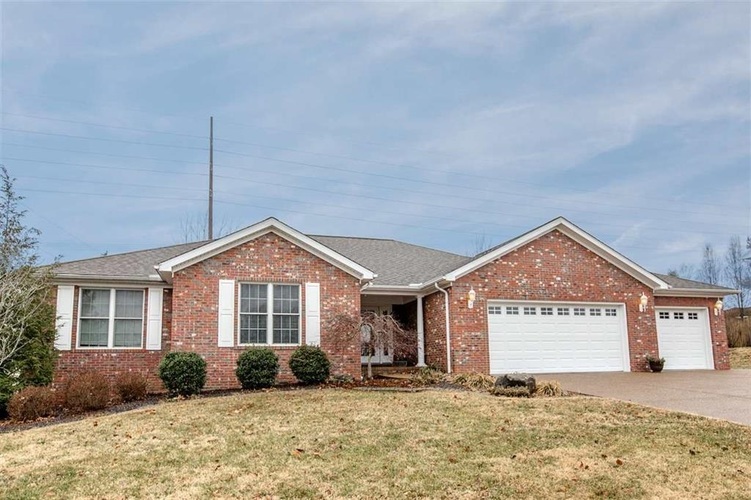 This is a beautiful, open living ranch style brick home sitting on .40 of an acre with a finished basement with 11" concrete poured walls and a 10' ceiling. With over 3,000 square feet under roof. This is a 2006 John Elpers custom built home. This home offers a large living room with french doors that lead out into the beautiful back yard. The kitchen offers a breakfast bar and a dining area that will easily accommodate a large family. The dining room also has french doors that lead out to a covered back patio. The home features 3 bedrooms, 2.5 baths. The master bedroom has a walk-in closet, master bath, double vanity, garden tub and a large standup shower. The other two bedrooms are nice size and have large closets. The hallway and all the doors are extra wide in the event you would ever need to make the home wheelchair accessible. The finished basement has lots of room for entertainment and recreational activities. It's fully carpeted, has a half bath, huge laundry room and plenty of storage area. Blinds and some custom window treatment are included. Beautiful landscaping. With 3-1/2 car attached garage with additional attic storage that has separate HVAC. Many more amenities and updates! (all measurements are approximate) Security system equipment not included in sale. Directions:Hwy 66 to West on Outer Lincoln, right on Meadowbrook, left on Hilldale, home on left.